Natalie brings to FoodShare her experience as a teacher, urban farmer, community animator and life coach. 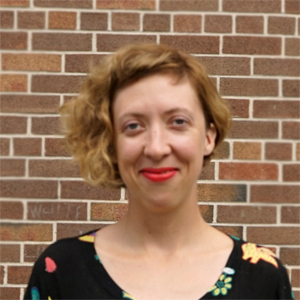 Since graduating from university, Natalie has found herself in all sorts of roles that fed her various passions, including being senior coordinator for PACT Grow-to-Learn, a schoolyard gardening and food justice organization here in Toronto. Natalie has one foot in the food justice movement, and one foot in the arts community, and looks for ways to combine these worlds wherever she can. She believes in the transformative power of play in both children and adults, and to that end, she spends her free time indulging in micro-entrepreneurial ventures that promote joy and playfulness, such as mini-donut making, vintage clothing upcycling, smoothie stands, organizing house concerts and throwing themed dance parties.